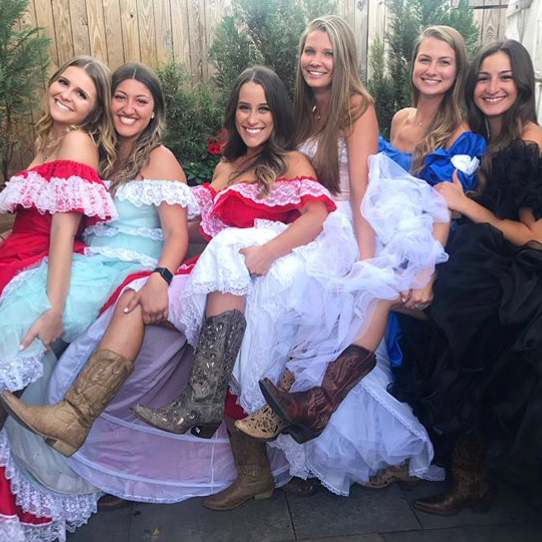 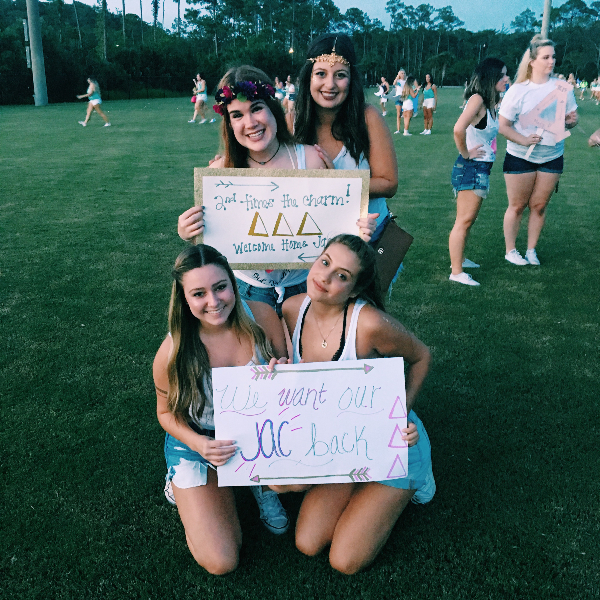 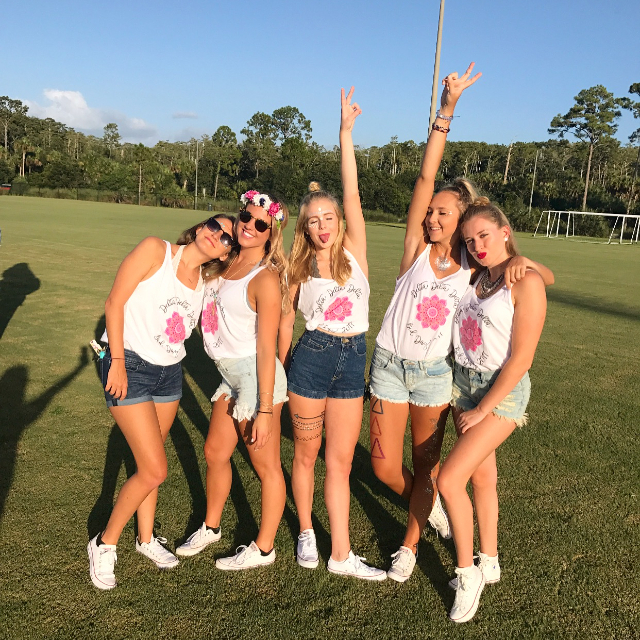 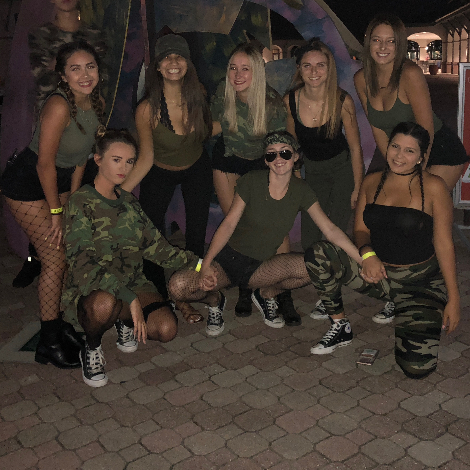 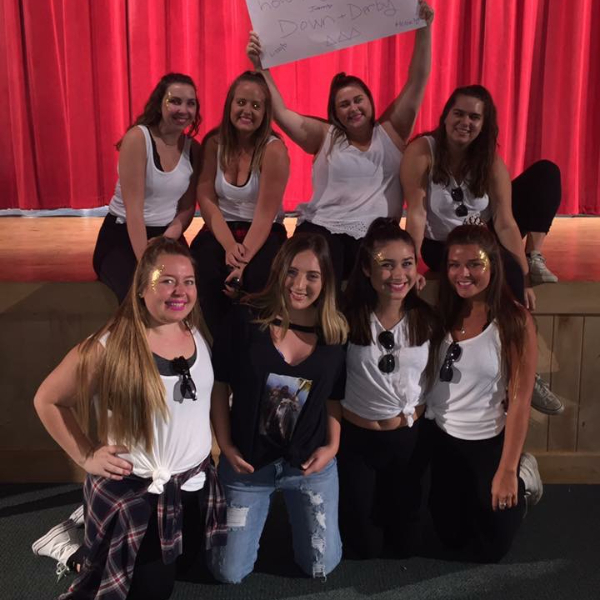 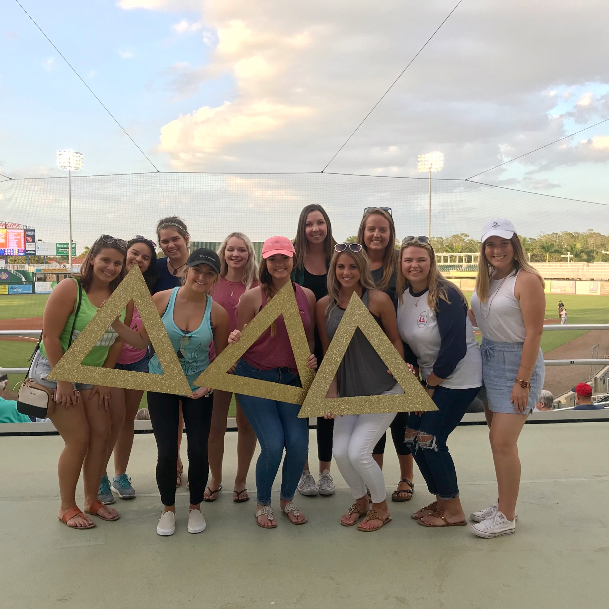 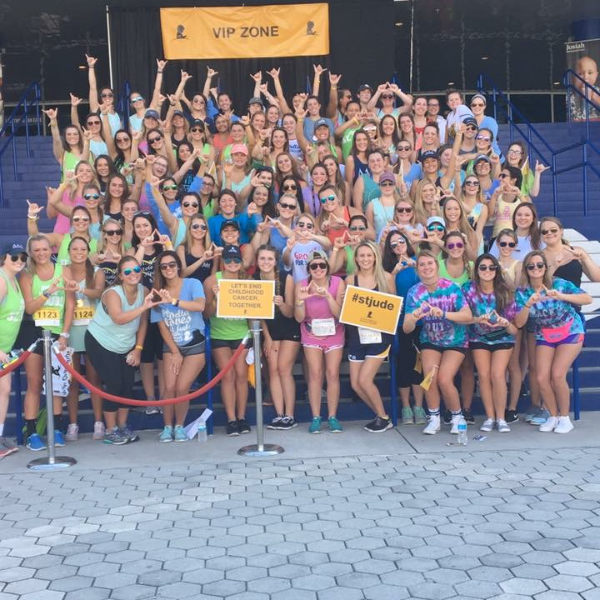 Background History: Tri Delta at Florida Gulf Coast began as a local sorority, Delta Xi in 2001. 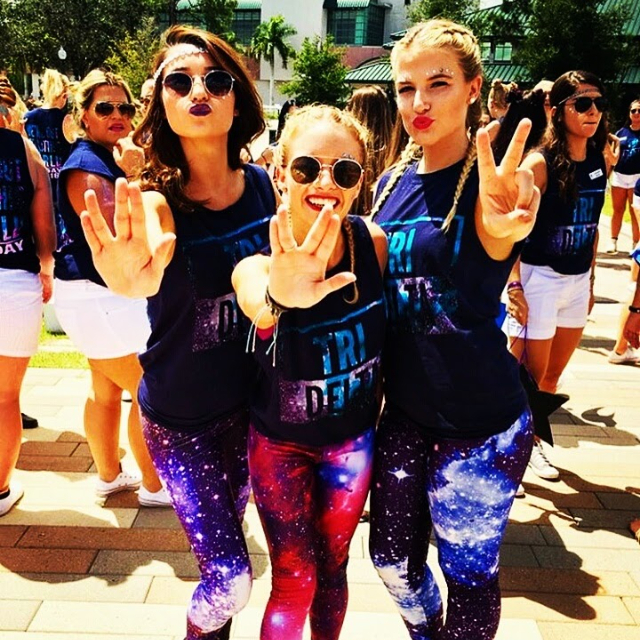 In 2002 the woman of Delta Xi decided to go national, eventually deciding on Tri Delta. 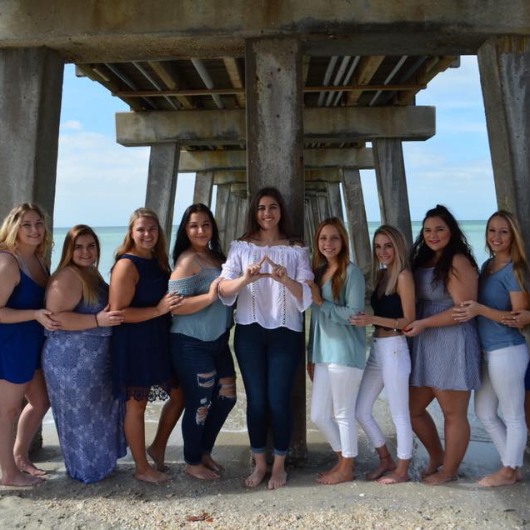 We were the FIRST Panhellenic organization to receive our charter on October 25, 2003 and have been a great presence on campus ever since. 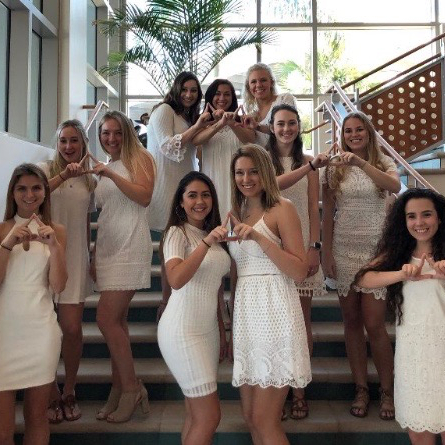 IT SHALL ALSO BE THE PURPOSE OF DELTA DELTA DELTA to promote and develop mutually beneficial relationships between the Fraternity and the colleges and universities where the Fraternity has established chapters, to develop qualities of unselfish leadership among its members, and to encourage them to assume, with integrity and devotion to moral and democratic principles, the highest responsibilities of college women.